What new gear are you most excited about? Lately, we’ve been talking a lot about the new gear we saw at the OR / SIA tradeshow, and the gear we’ve been testing on snow. 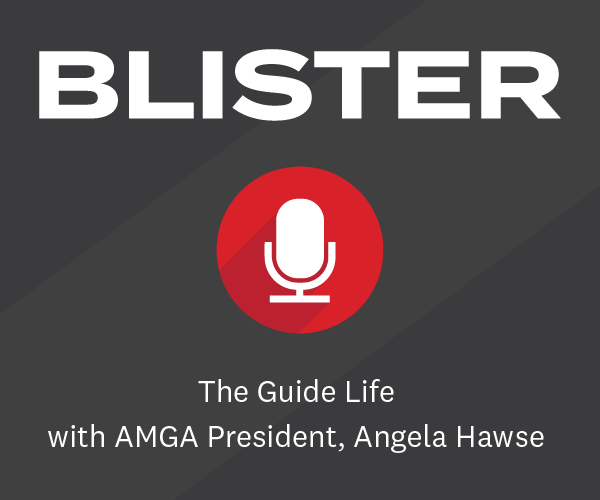 We recorded a conversation at OR / SIA where we went over some of the most notable products and trends. 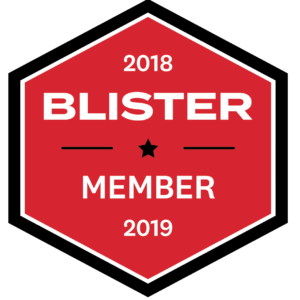 Then we published our extremely prestigious and scientific Blister OR /SIA Awards, which you should definitely check out. Then we posted a GEAR:30 episode, “Testing Pow Skis in Alaska & Japan + Shop Talk,” where we talk about fat skis, price-point products, and the complicated world of ski boot norms + binding certifications + real-world bench test results. 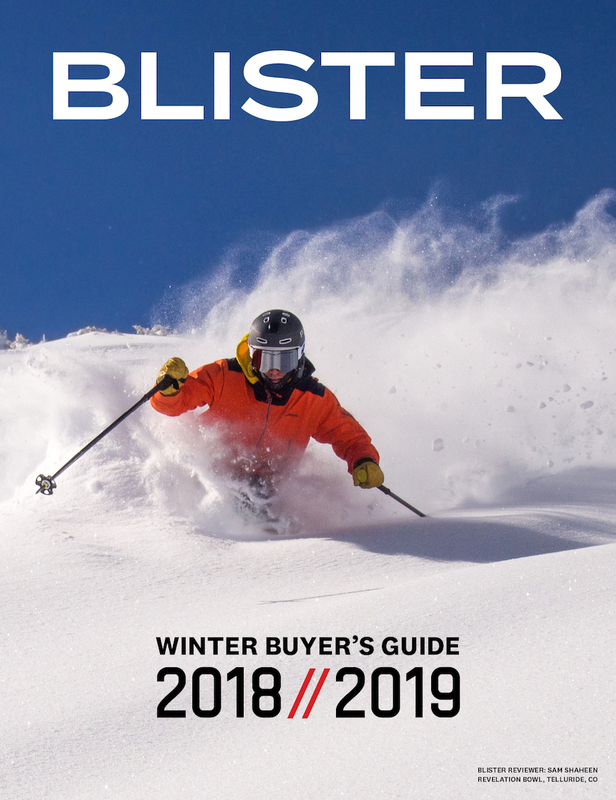 And yesterday, we published our initial list of the products we’re about to start testing in Telluride (it’s a pretty big list, and you should definitely check it out). But now we’d like to hear from you. Given what you’ve seen so far, what 18/19 gear are you’re most intrigued by? Most skeptical of? Any “take my money right now!! !” products? Which category is the most interesting — outerwear, boots, bindings, skis, or boards? Frontside carvers? Fat touring skis? “50/50” products? Are you more curious about the new inbounds gear or the new backcountry gear? I’m super curious about the Patagonia micropuff storm. I’ve been eyeing a StretchNano Storm for a while but wondering how this new piece will compare in terms of warmth. I hear things like “great warmth to weight ratio” about the micro puff all the time but I really don’t care about a few more oz if I’m freezing. Note, I’m always cold. The thing I kinda like about the nano storm is it feels like crawling into a sleeping bag. The downside is bulk. 22Designs Lynx! Even more, new rumored actually-decent-for-touring NTN boots. … and while we’re at it, the Bishop BMF-R.
I’m super excited for the new Tecnica Zero G boot. Fortunate enough to be able to purchase a pair relatively soon, and having tried them on they feel like the perfect boot for me! Also super stoked to get more days on my G3 SENDr 112, though they are not new. STIFFER DEATHWISH 190! Very excited, hope they are heavier too. Personally, I would rather see reviews of the hardware than the soft goods. As far as gear categories go I’m super geeked about virtually all of the touring gear coming out right now, boots, clamps, boards (i.e. Moment Meridian Tour, Volkl VTA 98-108, Fischer Hannibal, Atomic Backland 95, New Zero G boot, etc.) Would also like to get some feedback on some of the new skis from Liberty. I had a very brief interlude with the new V92 at the WWSRA NW demo and it was a compelling introduction to a new series. Would also be super cool to get an early review of the new Moment Commander. Would love you to get in some new Dalbello Lupos, especially the carbon version, and compare its performance to the classic lupo/krypton. Also an area that I feel you guys are missing is some sort of guide on demo’ing skis, specifically resort demo days. 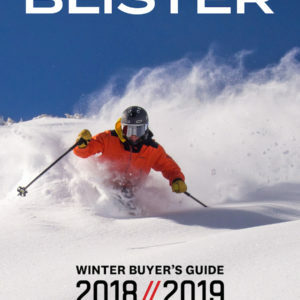 It would be great to have a source of upcoming demo days by manufacturers, by ski areas (including Canada). I can’t find any of this info collated online and as a gear geek who reads every ski hardgood review you put up, it would be great to plan some days on snow where I can work through the skis I’m interested in. With the way this season has gone, I am more interested in skis under 100mm underfoot. Some interesting comparisons with the new Rossi Experience, Legend series, new Mantra, Rustler 9, Also love to see the full review of the Daemon. Great job, thanks for all the hard work. Nordica ProMachine. Hoping they didn’t go upright in the forward lean angle and finally did away with the Nordica instep pinch. ON3P’s new lineup, particularly, the Wrenegades, and the supergoat. ON3P’s 2019 C&D, changes to the wrenegade. Shift binding. Quixotes. Would love to see the protest get re-reviewed in the context of everything else out there and them adding a 192. I love the idea of re-reviewing old reviews. Comparing how past models stack up against the new tech. As we enter a period of ski design stagnation, it would be great to isolate the designs that have staying power and are still relevant top notch shapes/buiilds. One word ,,,, Deathwish tour !! Black Diamond ice screws! They appear to be very light, and have an innovative integrated quickdraw hanger. 1) Demo’d Stockli stormrider 105 in 177 and 186 16-17 model at Alta demo days last spring. Not necessarily new but cool skis especially if could be found on sale. Rep said they spent 10 years developing the glue which gives them the damp feel. 2) My hard booter friends love the Donek ( made in Colorado) Hazelwood model custom snowboards. 3) Good feedback on Heel-loc custom footbeds by Olympic footworks in Squaw Valley. 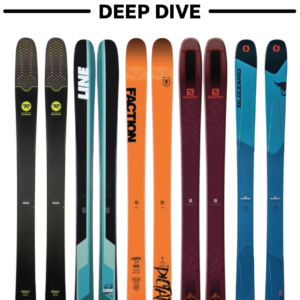 I am most interested in the revised ON3P wren 108/114, revised armada invictus 108, and the moment commander 108 or bascially any mid width ski that is decently stable. How is the recovery going? You ready to get back on the slopes? Skis made in Japan. Specifically ID One’s mogul skis. 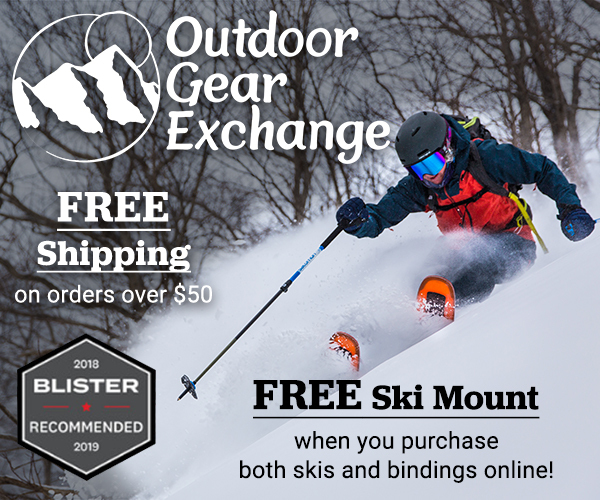 Ski industry is all about going narrower for skis right now, lots of people still insist on slalom or GS skis as their every day ride, why not find out if a competition mogul ski works better than either of those options as an every day ski? And are they really that good in bumps or could Kingsbury ski the way he does on a Mordecai? If ID One isn’t workable, Strictly Skis seems to make some cool stuff on the narrower end of things and a decent looking 108 underfoot ski. Lithic skis… I think they are a tiny local Washington builder near Leavenworth. I have seen a few pairs at Steven’s pass, and they look really well constructed. I’d love to know how they ski.. Skis in the 90-100mm range particularly new Wren 88, 98, Mantra and Rustler 9. Oh and the Switch binding durrrr. Zip fit boot liners? Are they worth the extra coin? Are they a practical alternative to Intuition products? I read that you have tried them and I trust your thoughts on them. I’m curious about the 17/18-18/19 ON3P billygoat. Been a while since you guys have reviewed it and seen it in one of your recent A/B reviews. Planning on a review? Need more time on it?